That lost paradise is preserved today as bastion of biodiversity, giving home to unique flora and fauna as exceptional as prodigious. The Canary Islands are known as the islands of eternal spring. They are part of Macaronesian enclave, a garden of gardens chosen by the sages of King Carlos III to acclimate them plants arrived from the New World before moving to the real Spanish botanical gardens . The Macaronesian region is one of the most plenty of biodiverse areas in Europe. Only here you can find laurel forests, authentic relics of the Tertiary that house a variety of species, many of which are unique to these islands as Bolle pigeon. The conservation of these and other species of trees and unique forests of these islands, as the Phoenix canary palm or pines, is therefore a priority. Only keeping them in good condition we can still enjoy its beauty and benefits. Did you know that our paradise is on alert? A total of 83 species and subspecies are endangered, some as the canary crow, vultures or Gran Canaria Blue Chaffinch, but also trees like the dragon tree of Gran Canaria and El Hierro faille, or bushes as Monteverde's tabaiba. The abandonment of the forest by the arrival of butane, and modernization of livestock and agriculture, would have allowed the recovery of many of these species if not for the emergence of three new problems: forest fires, the housing bubble and invasive species. Also climate change is creating problems in our islands. In this introduction we have tried to take a tour of the importance of biodiversity in the Canary Islands. 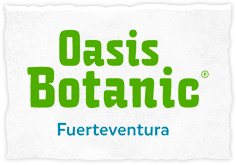 If you visit the Botanical Garden in Fuerteventura, you'll see that there's a large area dedicated exclusively to the endemic flora of the Canary Islands and the island of Fuerteventura in particular. You'll find many posters which explain the reasons of the origin of the flora of the island and all its features, is certainly a great work carried out by the renowned director of the Botanical Garden of Fuerteventura, Dr. Stefan Scholz.